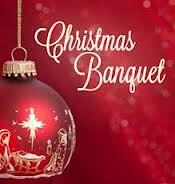 “This is an amazing place.” That’s the thought that hit me again last evening at the Heritage Christmas banquet. The school was decked in lights. The students were looking classy. The atmosphere was joyful. The music from the Heritage choir and student musicians was inspiring. Jesus was honoured. It’s a joy to be serving at a school that is so focused on preparing students for a lifetime of loving and serving Jesus. The impact comes not only through stellar professors in the classroom, but also through godly friendships made in the dorms and at Christmas banquets. I tell students and parents that a year at Heritage is an investment that will last a lifetime. It’s a solid foundation for a turbulent world. It’s discipleship in the context of scholarship. It’s biblical information and personal formation. It’s serious study mixed with lots of good, clean fun. I’d ask you to help me get the word out about Heritage. If you know high school students or young adults who would benefit from a year (or more) at Heritage, encourage them to check out our website (discoverheritage.ca) or to give me a call at the school. Heritage is an amazing place. That’s because it’s centered on an amazing Saviour.